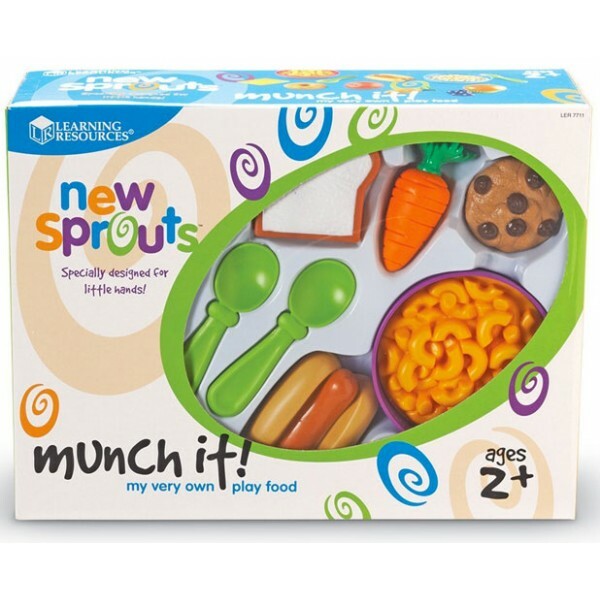 New Sprouts Munch It food set from Learning Resources serves up yummy fun with soft, durable plastic food! 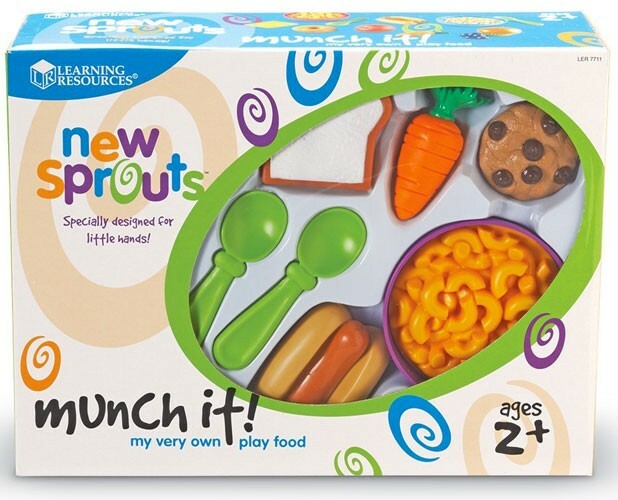 Invite dramatic play, build vocabulary, model meal-time routines and more with this great set. The 20 foods included represent toddler favorites, helping to build vocabulary. 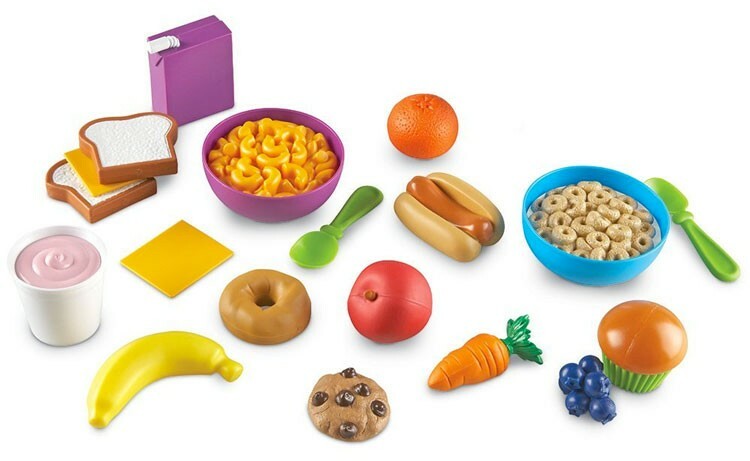 Set includes 2 slices of bread, carrot, bowl with cereal, mini bagel, hot dog in bun, cookie, apple, banana, 2-piece muffin, berry cluster, 2 slices of cheese, bowl with macaroni and cheese, juice box, yogurt cup, orange, and 2 spoons.